I've just spent my first full day with Apple's new pro photo application, Aperture. Unlike most users, I'll be using this program strictly on a 17" PowerBook. (If you're curious about how it performs on a laptop, read my Mac DevCenter post, Aperture on a PowerBook, Pt. 1.) Since I've just splashed my feet wet, I have a suggestion to help you get off to a good start with this new tool. After you install the application, but before you import any photos, insert the Introducing Aperture DVD and watch the "Acquiring Images" segment. Then import a batch of pictures. Next, watch the "Aperture Interface" and "Browsing & Organizing" segments, then apply what you've learned to your images. Work back and forth between the instructional segments and your own library of photos until you've finished the training. Then read the help section about how to set up a "Vault" so you can back up your work on an external hard drive. You'll be ready for a good night's sleep after this. But you will have made tremendous headway toward learning the application. I'll post more tips soon. This weekend, I've imported my first batch of photos into Aperture. As an organizational tool, Aperture is going to be phenomenal. I just don't know how much I will be adjusting the RAW file in Aperture. My feeling after just one session is that maybe I will be doing just a bit of adjustment to see what they might look like, then finish just the files I plan to print, or do what ever with, in Photoshop. The adjustment tools in Aperture seem very similar to those in Adobe's Camera RAW plug-in for Photoshop. But, as I say, this is my impression after just a couple hours with the program. 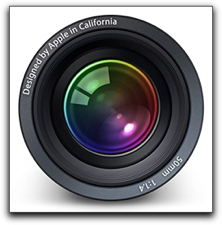 I just made a post on Mac DevCenter about dealing with Raw files in Aperture. I agree that the Adjustments HUD in Aperture is pretty darn good. But I couldn't find a way to link directly to Camera Raw as my external editor for Aperture. Hmmm... This causes a little hiccup in my workflow. Hi there, I like your blog alot, it s has very nice content, I found it while I was searching for web ring tones on bing. Greetings, keep up the excellent work you do here.